The Hurricanes endured a slow start to their 2010-11 season, one that put them behind many teams in the Eastern Conference standings. The Hurricanes are still alive in the playoff race, however, with a recent string of strong play buoying their chances at the post-season. The Hurricanes went 3-1 in four games this past week, splitting a home and home with the Lightning and beating the Capitals and Canadiens in must-win games, two teams they had not beaten this season. After a four-game losing streak earlier in the month, the Hurricanes have gone 6-2 in their last eight games, spurred on by strong play from Erik Cole (six points, including four goals, in his last six games), Jeff Skinner (eight points in last six games, NHL-leading 29 goals amongst rookies) and goaltender Cam Ward (5-1 in his last six starts). With five games left in their regular season schedule, Carolina is only three points behind the New York Rangers and the Buffalo Sabres for the Eastern Conference's final two playoff spots. Weekend games against the Islanders on Saturday and the Sabres on Sunday will go a long way in determining if the Hurricanes strong finish will be enough to elevate them into the post-season. In a Saturday night rivalry game against their bitter provincial foes, Devan Dubnyk of the Edmonton Oilers put up a worthy candidate for “Save of the Year” on Calgary's Olli Jokinen. After Alex Tanguay carried the puck into the Edmonton zone and bought some time by holding up just inside the blue-line, he passed the puck over to Rene Bourque skating down the left wing. As Bourque moved towards the net, a cross-ice lane opened up, allowing him to fire a pass over to Olli Jokinen, who was just to the left of Dubnyk. With the Oilers defencemen focused on Bourque, Jokinen was unchecked as the puck came to him, with a plenty of open net to shoot at. Jokinen whipped the pass on net as he received it, all but certain of a goal. Dubnyk though, had other plans, and lunged across his crease and made an incredible glove save on the what appeared like a sure-goal, robbing Jokinen and the Flames with a miraculous, split-second effort. Nicklas Lidstrom is on the back-nine of his NHL playing career, but continues to prove with the stats he puts up, that he is quite capable of producing at the highest level, even at the age of 40. The Swedish-born defenceman is enjoying yet another amazing season, currently riding a five-game point scoring streak that has helped him gain some ground on Anaheim's Lubomir Visnovsky for the NHL's scoring lead amongst blue-liners. During the Red Wings' game against the Blackhawks on Monday, Lidstrom scored his 15th goal of the year in the first period, breaking the 60-point plateau for the ninth time in his illustrious career. The goal was also the first time in league history that a 40-year old defenceman broke the 60-point barrier. Proving he is in fact human, Lidstrom is currently in a battle with his +/- for the rest of the season, which, if his current -3 stands, would be the first time in his 19 seasons that he would finish the year as a minus player. At 43 years of age and in his 22nd NHL season, Mark Recchi of the Boston Bruins continues to make his way up the all-time lists, still producing at a high level. With his 34th assist of the year on a Johnny Boychuk goal against the Blackhawks on Tuesday night, Recchi moved past Paul Coffey for 12th place on the NHL's all-time scoring list. With 1,532 career points, Recchi now sits 47 points behind Ray Bourque for 11th place, and is behind names who are all in the Hall of Fame or just waiting for their induction. 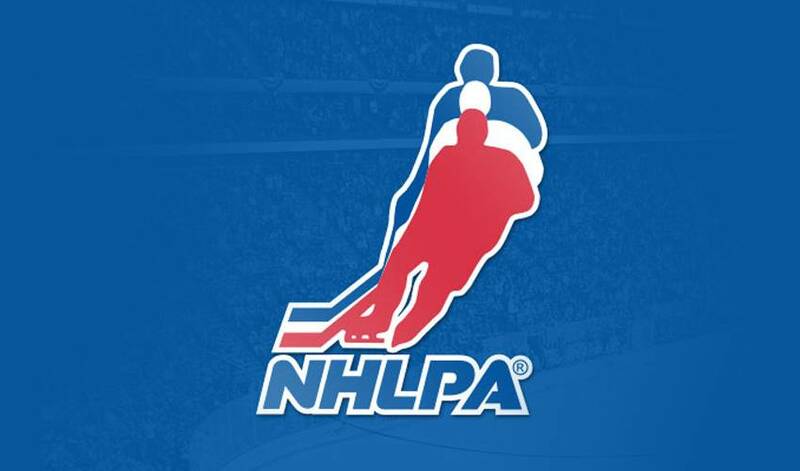 Congratulations Mark, from NHLPA.com, on this fantastic accomplishment! - Buffalo Sabres goaltender Jhonas Enroth discusses the puck he was given to commemorate his first career NHL shutout, while addressing media at his locker. The 22-year old native of Stockholm, filling in for the injured Ryan Miller, beat the New York Rangers on Wednesday night by a 1-0 score, earning two valuable points for the Sabres and out-duelling one of his childhood idols, New York goalie Henrik Lunqvist.